Oklahoma City, OK, Nov. 5, 2018 — Malvern Bank is proud to sponsor the Open Performance Mares class at the 2018 American Quarter Horse Association World Championship Show on Thursday, November 8, 2018, in Oklahoma City, OK. The World Show brings over 4,400 competitors from the United States, Belgium, Brazil, Canada, Mexico, Switzerland, and the United Kingdom to compete for 99 World Championship titles. Horses must qualify to participate by earning points throughout the year in classes such as Halter, English and Western disciplines. Since launching the Equestrian Affinity Program, Malvern Bank has been able to provide financial services to individuals and businesses within the equestrian industry. The program is tailored to the needs of the equine industry. Whether you own a pleasure horse, compete at the World Show, or have other equestrian needs, Malvern Bank can assist you in buying your next farm, financing the next great prospect or a new truck or trailer, and any associated insurance needs, all with a focus on service. Malvern Bank understands that equestrians have demanding schedules both on the farm and away from it where we provide you a Private Client banker who can handle all of your financial needs. 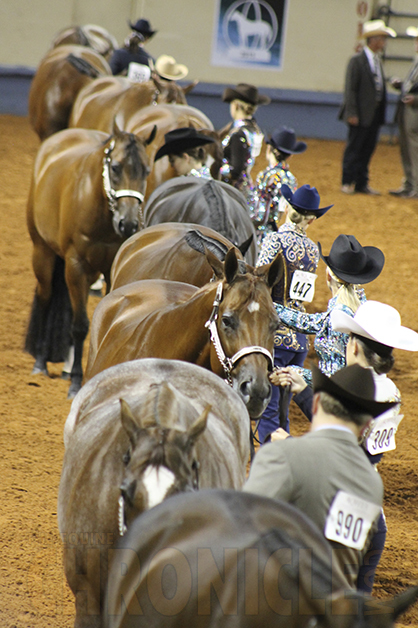 For more information on the AQHA World Show and a tentative schedule, visit www.aqha.com/worldshow. For more information on Malvern Bank, National Association, please visit, www.MyMalvernBank.com.